The vast subcontinent of India is a wide, dangling peninsula south of Asia. Exploring it for two weeks barely touches all there is to experience. If that’s all the time you have, joining a travel group might be the best strategy. Aligning with causes, investigating medical tourism, or attending festivals can provide a focus for the trip. 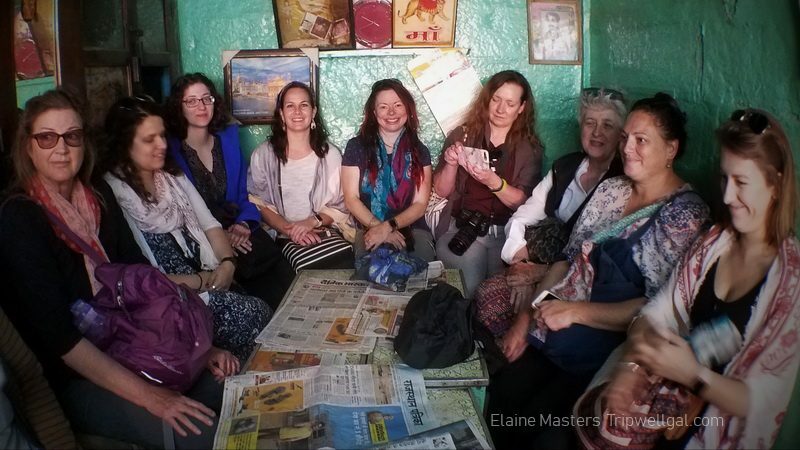 March was International Women’s History Month in the US and I jumped into an early spring tour exploring the Divine Feminine in Rajasthan with Purposeful Nomads. All the rich colors, textures, air quality, crowds, high luxury, and deep poverty of India can be overwhelming. How to manage them? Joining a travel group made it easy but much depends on the kind of traveler you are. I wanted a paced immersion and rarely join tours, preferring to stop and go on a whim with bare-bones planning. However, guidance for this first trip to India gave me the freedom and security to travel without worring about my next steps and to take pictures with abandon. Women traveling in India need to pay attention to cultural differences but it’s no burden. I never felt at risk as a Boomer traveler. So many little freedoms that I enjoy in the US, like taking a bus or Uber alone at night, seem innocent but can be iffy in India. I was able to rely on our local guides from Rajput Cultural Adventures who tirelessly answered questions and offered advice on request. Author J.D. Viharini had coached me on safety issues long before I ventured to India (Read the interview here.) Still, I left my tight, yoga leggings at home and made sure to cover up cleavage. It was the respectful thing to do and all of us enjoyed wearing beautiful wraps and dresses. Shopping for them became a highlight of the trip. 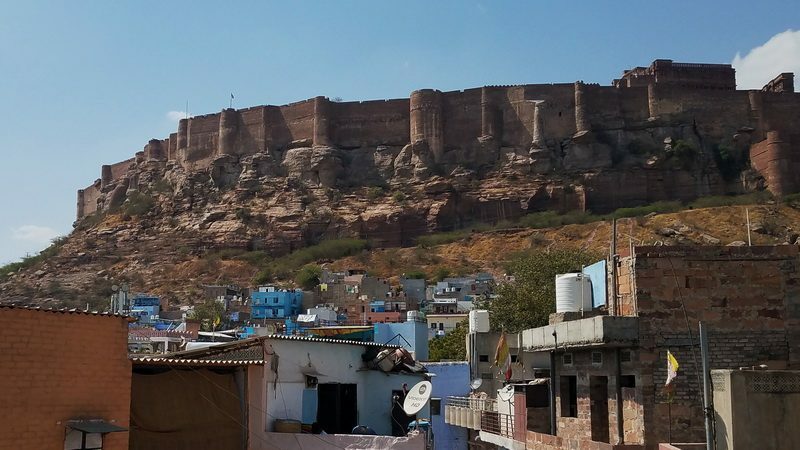 Experiencing Jodhpur on International Women’s Day was a rare honor. I joined a parade of several hundred girls and ladies in pink, along with volunteers and staff of both genders from Sambhali Trust. One morning we joined the women working in the guest house craft room as they patiently coached us on how to stuff toys and stitch. They also created a delicious traditional, vegetarian lunch, full of complex curries, chutneys, pakoras, and chapatis. 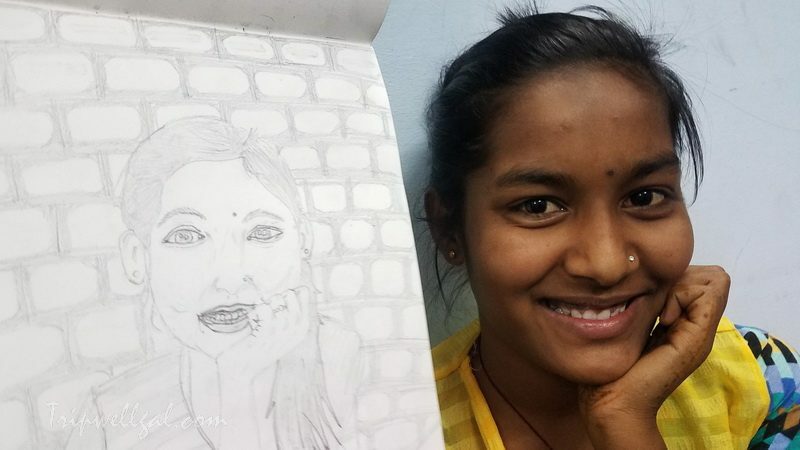 One night, gypsy dancers entertained us at a rooftop dinner in the girls’ boarding house but nothing was as charming as having students coach our Bollywood moves and seeing their artwork in the school bunkroom. The dates had been set for months and with the travel group, Purposeful Nomad, my only tasks were to arrange a flight landing in New Delhi in time to meet the travel group and get a visa. I have an American Passport so an e-visa was fairly simple. The online application took some time to complete as it needed document verifications and pictures. Payment was easy by credit card and approval came within days of completion. I traveled with two printed copies of emails showing the visa was authorized. At first, I was concerned because my verification looked different than the tour group leaders’ copy but everything was stamped quickly and easily at the India customs desk. I flew from California to Bejing and onto India. Most of the travel group flew from the East Coast or over Europe to India. My flight with Air China was the only one that wasn’t delayed due to temporary restrictions over Pakistani air space. We came in from another direction. 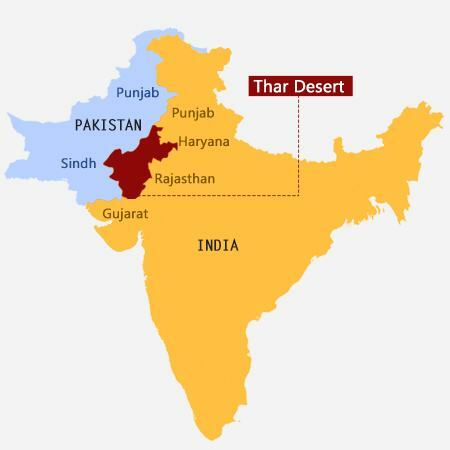 We set out for the Thar Desert and sites throughout the Golden Triangle – Jaisalmer, Jodhpur, Jaipur, and Agra. 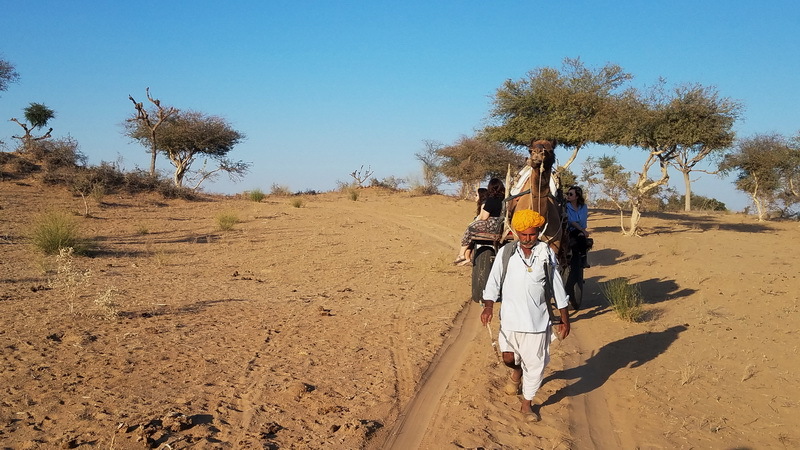 Our short flight to Jaisalmer, about 100 miles from the Pakistani border, brought us to the village of Setrawa, with its desert dunes and cool nights. From the airport, we boarded the bus that would take us around Rajasthan for the next twelve days. Jaisalmer – The golden city is built of ochre sandstone with its ancient fort carved from the solid rock above the desert floor. We stayed at Mandir Palace, one home of the 500 royal families of India. The Prince of Jaisalmer welcomed our small tour group for tea and sunset from his rooftop home. The city was very walkable but the fort is being impacted by heavy traffic. With that in mind, we walked up to and around the fort easily. Setrawa – Visiting the village of Setrawa and the home of Sambhali Trust was the centerpiece of the trip. In the village we stoped at shops, admiring local crafts, met nomads. 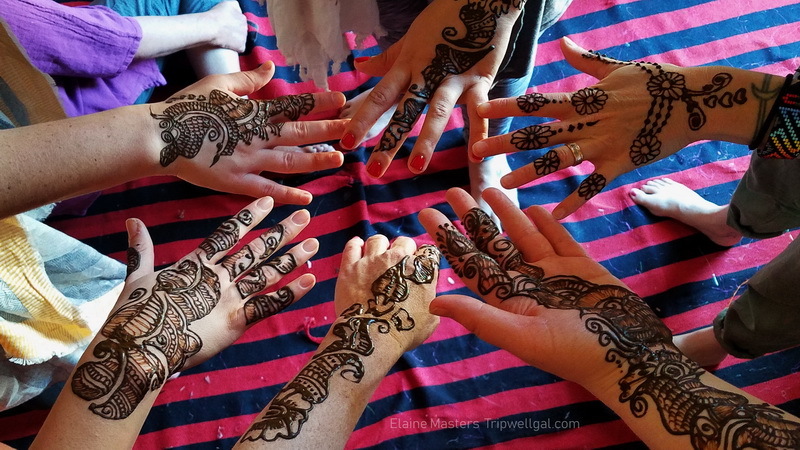 One afternoon the ladies at Sambhali Trust demonstrated how to wear saris, decorated our hands with henna, and showed us how to prepare local foods. Lodging was in a family compound where local musicians joined us at dinner after a camel cart ride to the sand dunes for chai at sunset. Jodhpur – The Blue City is famous for the cerulean walls in the village at the base of the grand fort. Sambhali Trust has a shop there and a guest house where women come to gain job skills. Two boarding houses in town make it possible for girls to get an education. What fun it was to join them for an International Women’s Day parade through downtown. I loved surveying the reservoirs and deep functional step wells that dot the city center. Over lunch at the Stair Well Cafe, I watched boys dare each other in jumping trials from verandas into the cool waters dozens of feet below. Pushkar – The lake is surrounded with steps that fill with bathers in the evenings and between temples, international bohos slither and dance. There’s a camel fair in the fall but it was quiet during our visit aside from the temple chants and bells. It’s a beautiful, calm place I could stay in for days. Jaipur – The Pink City and Old Jaipur Center are decorated with clay facades scrolled with elaborate white designs. The city is laced with specialty markets and temples. We visited the Textile Center, Amer Fort and viewed the Wind Palace. 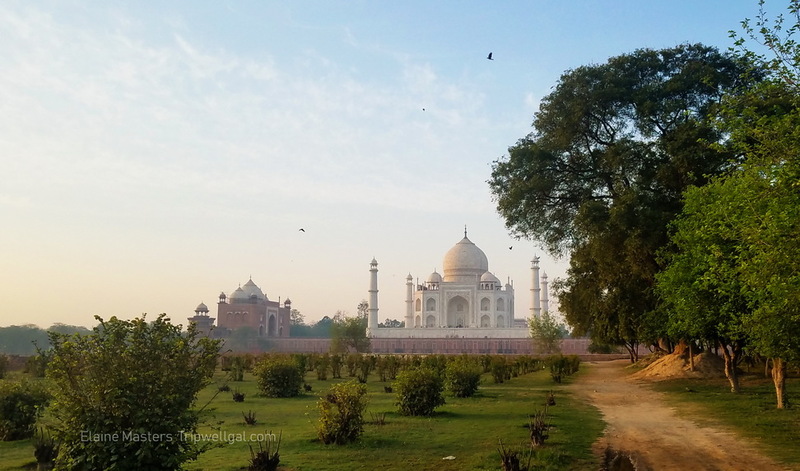 Agra – The Taj Mahal earns every accolade it’s ever received. A jewel in the midst of a garden state, each face is identical and it sits along a riverbank. Roads to the Taj cut through town, vast fields of wheat, and herds of goats on the way to the center. New Delhi – Lotus Temple is a stunning Bahai Center. We luckily arrived for a short ceremony with chants from many of the world’s religions echoing through the building. Other temples of note: The Hare Krishna Temple, Mosque and Sihk Centers. Riding a pedi-cab through passages with walls narrow enough to touch was an incredible way to visit the Spice Market. Rajasthan is only one region of India! Now I know why people return multiple times – there are so many other areas to see and experience. Somehow I’ll return again and again. 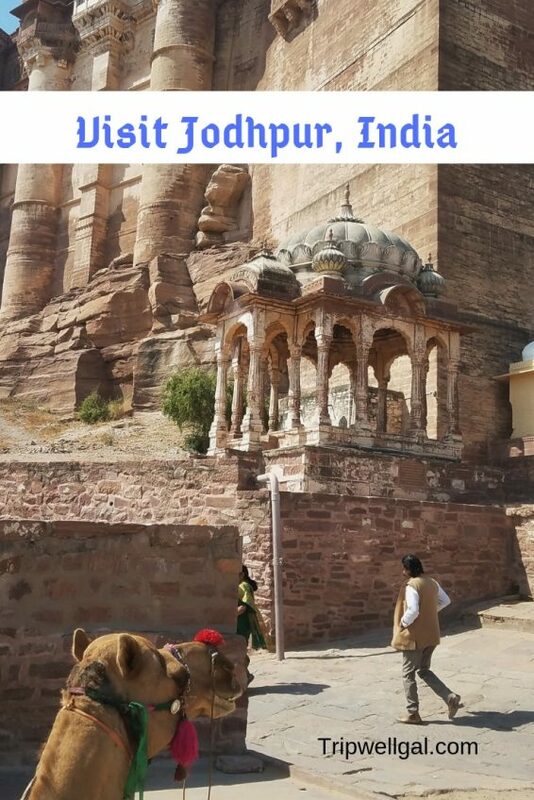 I visited India with Purposeful Nomad through WITS and with the priceless help of Virendra Singh Chouhan and Govind Singh Rathore of Rajput Cultural Adventures and Sambhali Trust. Loved visiting Rajasthan with you and your group! I do hope to get there myself someday. Thank you, Carole. We were quite a troupe and loved every minute. I hope you get the chance as well. India is so large I’m not surprised that you haven’t been to Rajasthan. It’s kind of a tourist hub too and that’s not your M.O. All the best. India is such a big country that one trip is not enough. The Golden Triangle – Jaisalmer, Jodhpur, Jaipur, and Agra – is a perfect way to start exploring the country. It shows you the brilliant colours of India in a short time. It did and I long to return for more. I’ve loved following your trip on social media and now reading about it in more detail. 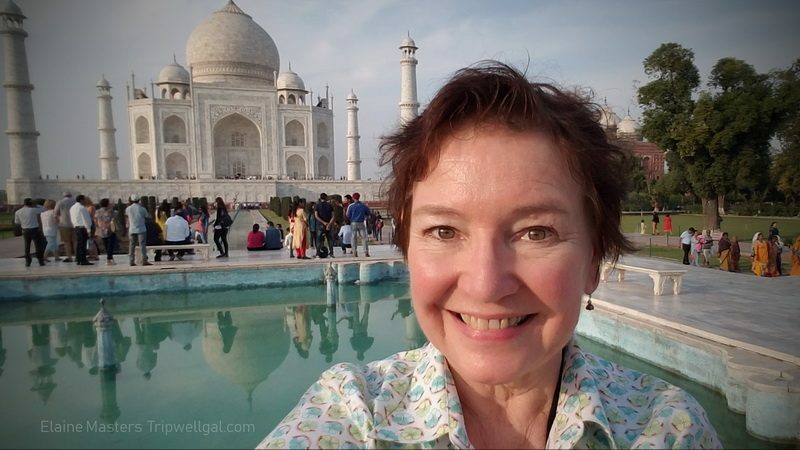 I think for most (especially solo boomer women), going to India through a tour company is the best solution. It looks like you had a great group and guides which takes it up a level. The personal experiences with locals in their environment are the best! Thanks, Alison. It was really the best possible way for me to go although the group was a bit bigger than I’d prefer. What an amazing trip. I’m quite interested in exploring the cuisine of the Pink City, but I’m honestly afraid as a female. Great advice to go with a tour for additional safety. I’m thrilled to see what a wonderful time you had. Your pictures and the darling picture of the young girl are all precious. I hope to get to India sometime soon. I would say go! You are seasoned travelers and using an itinerary, suggestions on where to stay and how to get around should have no problems. Several of the young women on my tour had gone independently before and then struck out again after. We certainly saw some amazing places and had incredible experiences but I can’t claim it’s all the best of India. There’s so much more to return to see. Glad to know you had a good tour of Rajasthan. I have not visited to Setrawa yet. Village experiences there are indeed memorable. Loved visiting that desert region more than I expected. Jaisalmer is spectacular. Videos to come! Wow! What a wonderful trip to India – and as you say doing it with group took out all of the stress and so added to the quality of the experience. Thanks, Linda It was pretty special and all so interesting. Can’t wait to return. Wow, this looks like so much fun. We haven’t been to India yet. Yet. But I could see us jumping on a trip like this. There is so much going on I there I love the guided aspect. I also love the tie backs to International Women’s Day. Such a fun trip! I think the guides and tour itinerary are key. Hope you find the time and right match. Wow. That looks like a fantastic trip. I’m also accustomed to independent travel, but the small group tours I’ve taken were very worthwhile. In fact, they are much more “efficient” in terms of time and the depth of travel is actually enhanced with a local guide. The ones I have been on also had “free time” built in for independent exploring. As an aging Boomer, India is definitely a place I’d rather be escorted. I love meeting with local guides. We had the best of both worlds – local overall guides and they brought in specialty tour guides in some of the cities. It was really stress free and easy to follow. I only wish I’d had more time for pictures. 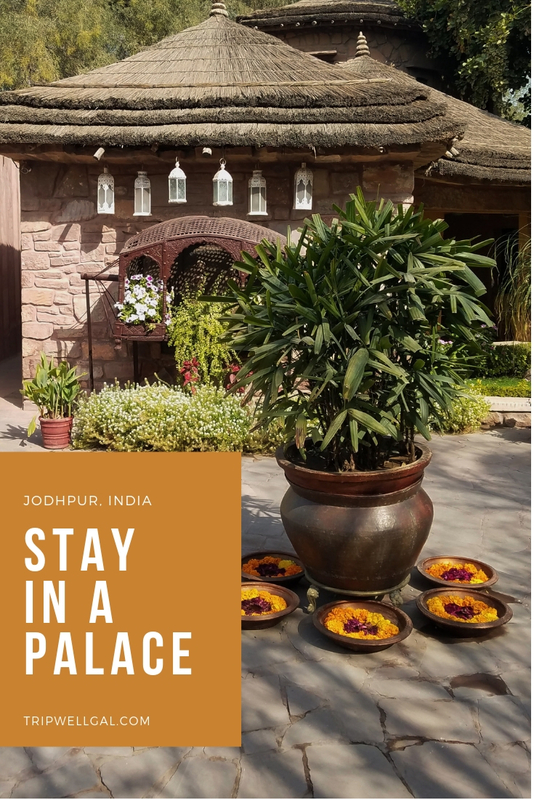 I am hoping to do India in 2020 and go to the Rajasthan region, so this guide is really helpful (so I have bookmarked this page). Love the looks of the Ajit Bhawan Heritage Hotel, I can see myself staying here. I hope you check that out and the Mandir Palace in Jaisalmer is stunning too. This is a very good take and different perspective in visiting Rajasthan! I went there with friends and it was also quite a discovery!! Totally agree on better immersion more with locals if you join these customized tours! Thanks, Trisha. I can see how it would be fun to visit Rajasthan either way. This just worked for me. 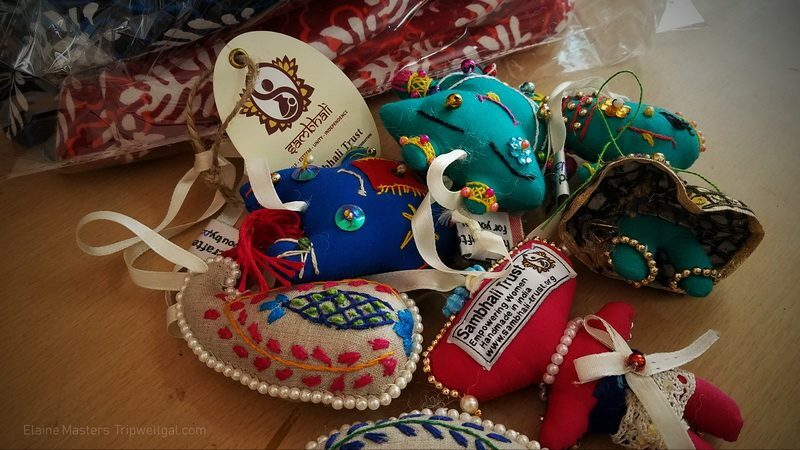 Purposeful Nomads has another India trip happening in 2020. The henna lasted a bit over a week, fading gradually. It’s a very compelling story about the culture, the religion, the people, and a style of life that is so different. Travelling with a group of Purposful Normads looks like lots of fun. You were welcomed by a real prince and drank tea with him! Visiting a village and learning cooking from local women is a real emersion in Indian culture. Getting to know locals is an nvaluble experience. It does all sound quite magical the way you described it! I absolutely loved being welcomed into homes and workplaces, kitchens and schools. Elaine, what a wonderful trip! Was this your first time visiting India, then? I’ve always wondered just how safe it would be to travel in India. But I think I would like joining a group like you did. 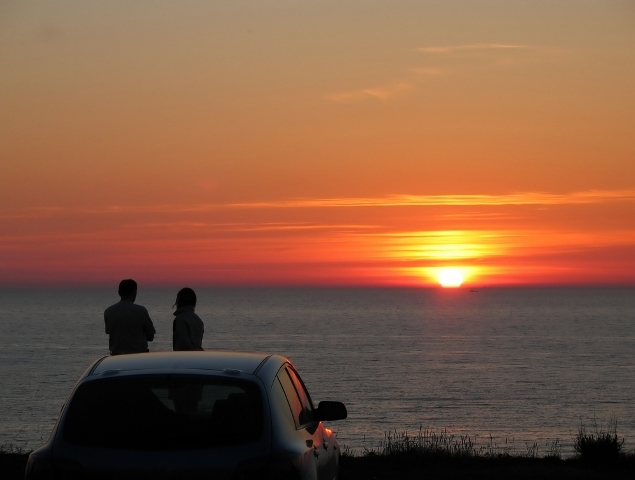 You had such rich experiences — love your photos too! Thanks, Tami. Yes, my first time and I never felt unsafe. One of our guides was very fatherly and would ask if we noticed how we were being noticed, especially by groups of truck drivers. That was a bit chilling as I was clueless. So glad you liked the pictures too. India is one of the few places I would feel more comfortable on a tour as the crowds and cultural differences can be overwhelming to navigate alone. 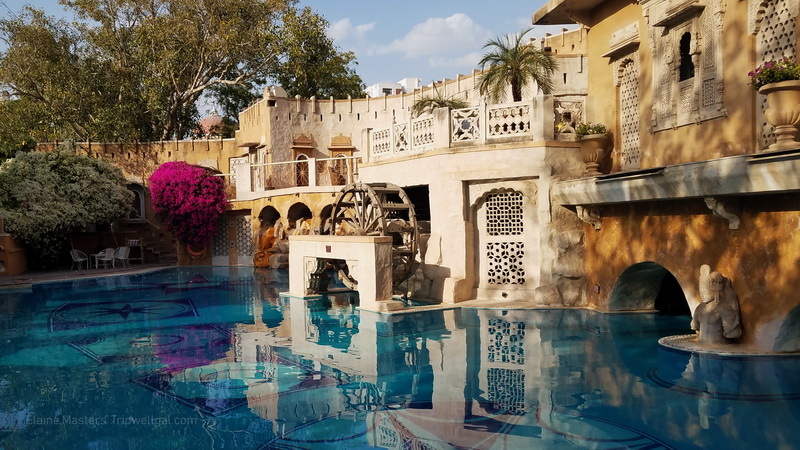 Jaipur and Agra are of course must see destinations but I can tell that it was your time with the girls and women at Sambhala that will really stay with you. Thanks, Brianna. Being welcomed into homes and traditional village experiences was so precious. I won’t forget a bit of it.